The Delhi High Court has upheld the validity of Rule 3(2) of the Companies (Registered Valuers and Valuation) Rules 2017. As per the Rule, no partnership entity or a company can be a registered valuer if it is a subsidiary, joint venture or associate or another company or body corporate. This restriction was challenged as arbitrary, unreasonable and violative of fundamental right to carry out business, trade or profession under Article 19(1)(g) of the Constitution of India by Cushman and Wakefield India Pvt Ltd. Senior Advocate Vikas Singh appearing for the petitioner submitted that it was an unreasonable classification. It was contedned that the petitioner was not only discriminated against individuals and partnership entities but also such companies which are not subsidiaries, joint ventures or associates of other companies / body corporates. The restriction will leave out many reputed global valuers from business in India, submitted the senior counsel. Explaining the rationale behind the restriction, ASG Madhavi Divan submitted that it will ensure that a valuer will make an independent assessment without any conflict of interest. If a Registered Valuer company is a subsidiary, joint venture or associate of another company, the said entity may not be able to stand out as an independent professional body. Hence, if valuation is allowed to be undertaken as a business by such entities, independence and credibility cannot be ensured, submitted the ASG. The Division Bench of Chief Justice Rajendra Menon and Justice V Kameswar Rao agreed with the contentions of the ASG. "The objective and intention behind laying down the impugned Rule is clearly to introduce higher standards of professionalism in valuation industry, specifically in relation to valuations undertaken for the purpose of Companies Act and IBC, 2016. 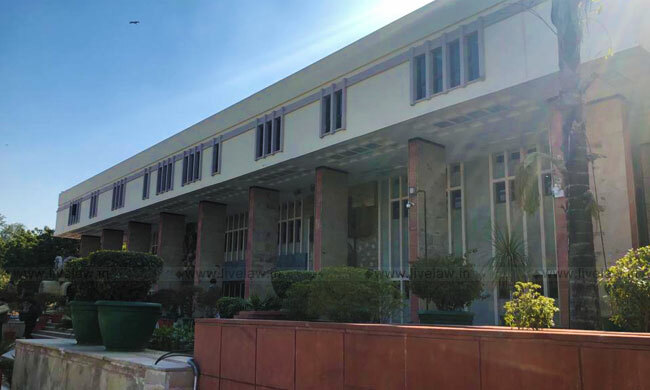 The impugned Rule obviates the possibility of conflict of interest on account of diverging interests of constituent / associate entities which resultantly shall undermine the very process of valuation, being one of the most essential elements of the proceedings before NCLT", the bench observed.